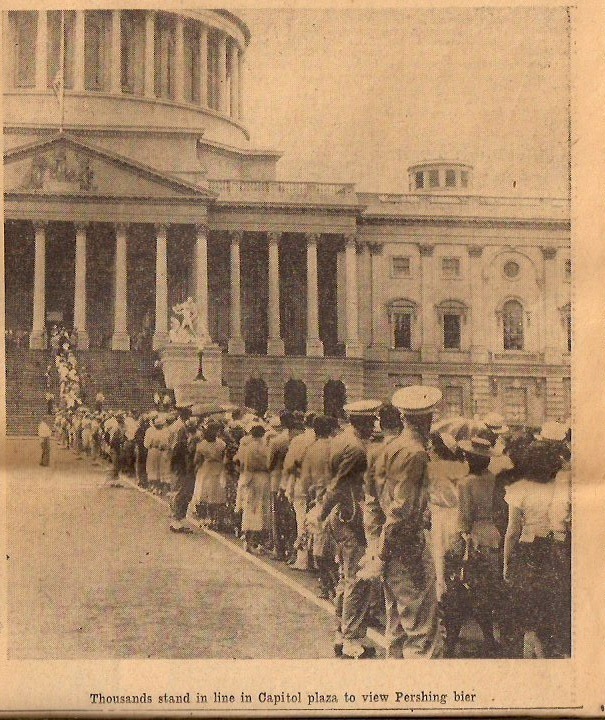 Newspaper clipping from July 19, 1948 of General Pershing’s viewing in the Capitol Rotunda. 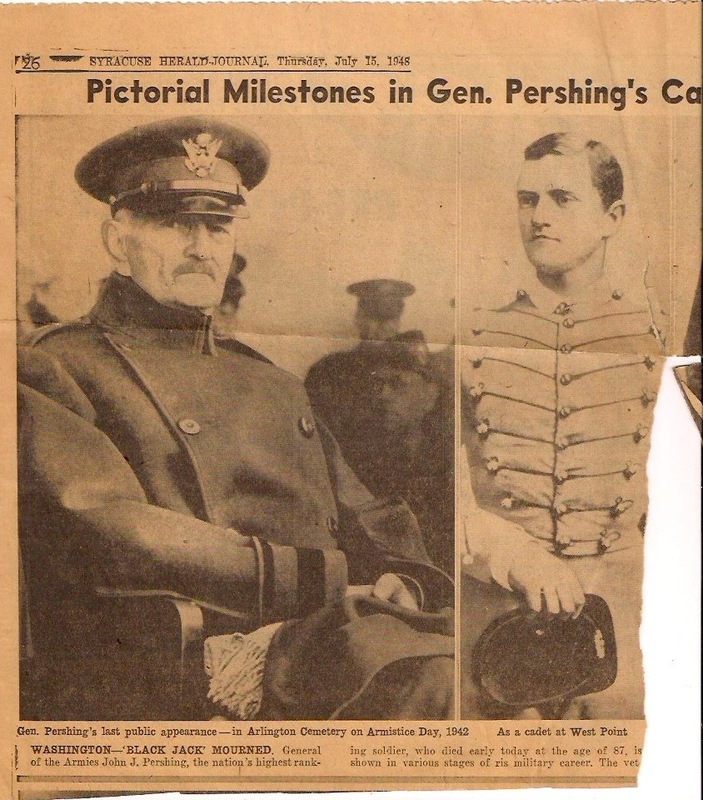 General Pershing was a 3rd cousin to my Great Great Grandfather. According to family lore, General Pershing was a 2nd cousin rather than a 3rd. 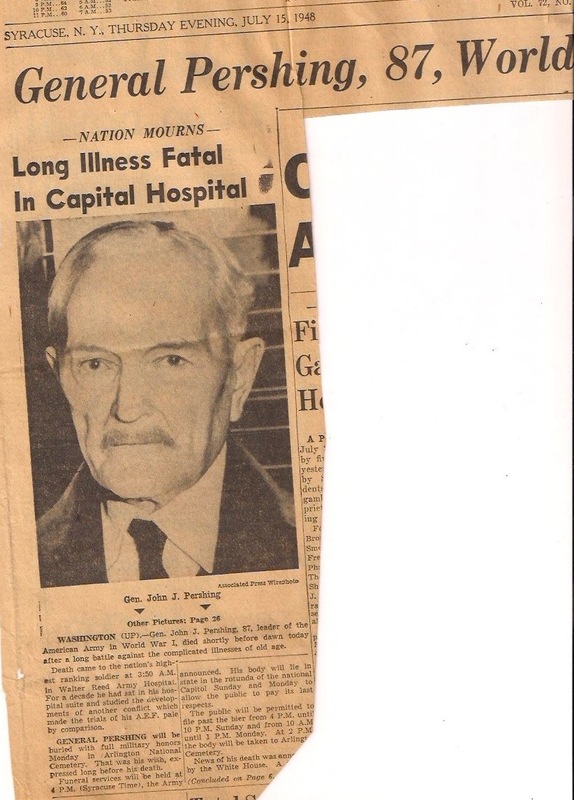 This a newspaper article that mentions that my Grandmother and Great Grandmother are related to General John Pershing, who died that week. My Grandmother (who is referred to as “Mrs. Francis Wilkinson” rather than her own name) also discusses when she met General Pershing at a Family reunion in 1923. 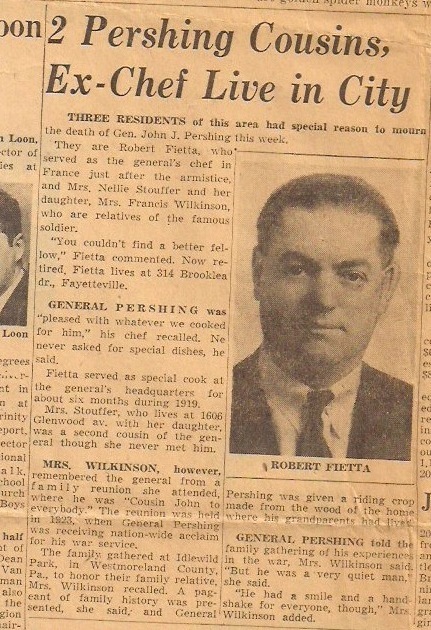 I also find it a bit strange that someone who cooked for Pershing gets top billing over actual relatives of his. 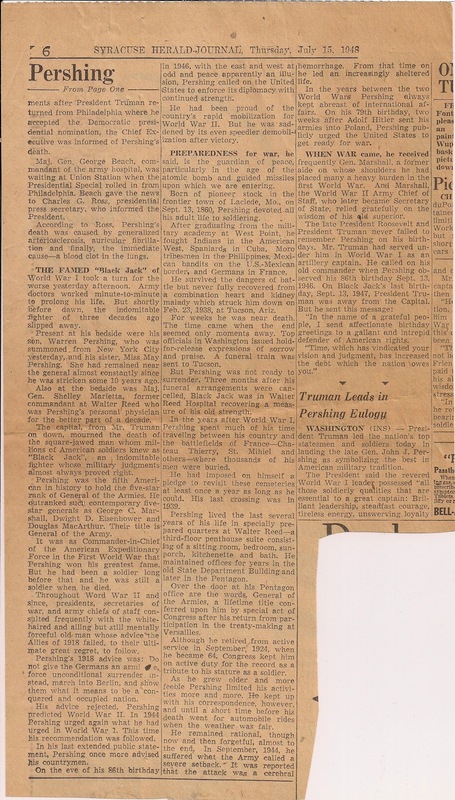 Here are several articles from the Syracuse Herald-Journal commemorating General John Pershing (my Great Grandmother’s third cousin). 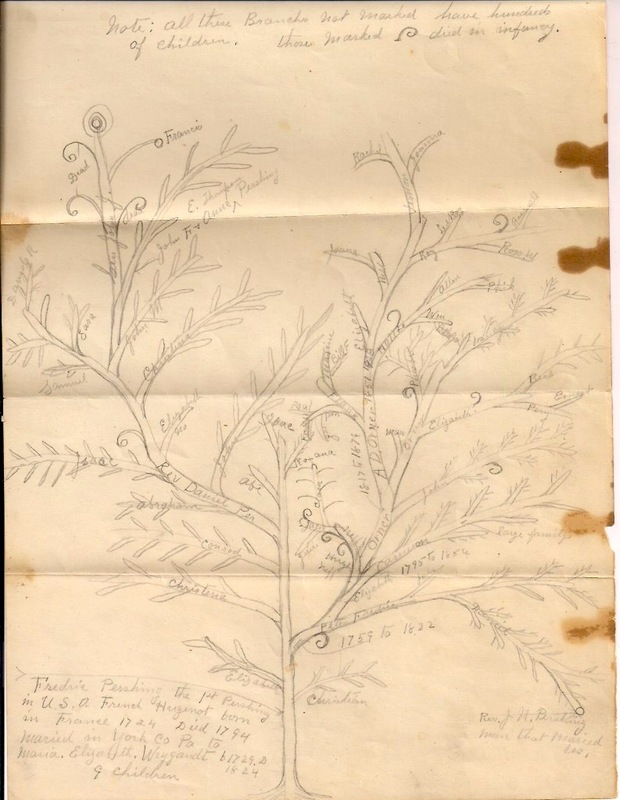 This Pershing/Orner/Stouffer family tree was put together by Amos K. Stauffer (1871-?). 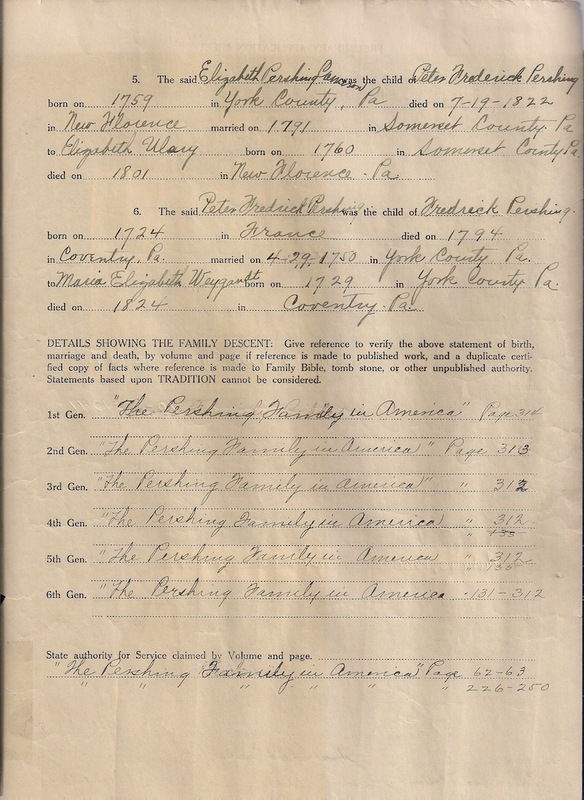 Amos was a cousin of my maternal grandmother and appears to have been the Stouffer/Stauffer/Pershing family genealogist. Joanna’s Application for the D.A.R. 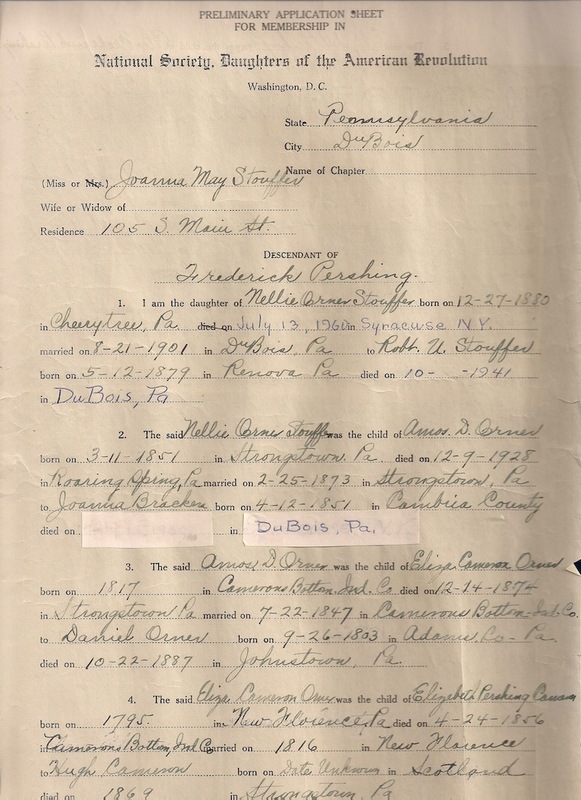 Here is Joanna Stouffer Wilkinson’s 1930 application to join the D.A.R. (Daughters of the American Revolution). Note: her application was accepted. She was a descendant of Peter Frederick Pershing, who was an immigrant from what is now Germany. General Pershing was also a descendent of Peter Frederick Pershing. He is descended from Peter Frederick Pershing’s son, Daniel Pershing. My family is descended from Elizabeth Pershing, Peter Frederick Pershing’s daughter. This would make My great grandmother and General Pershing third cousins, not second cousins as she claimed. They share the same great, great, great grandfather (Peter Frederick Pershing). This would make me General Pershing’s third cousin four times removed. Apparently Peter Frederick Pershing has over 7,000 living descendents. 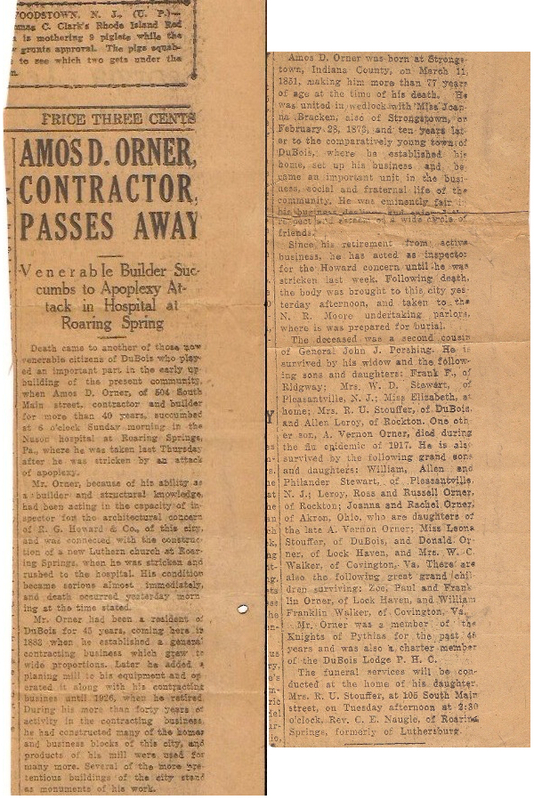 Obituary for Amos D. Orner, my Paternal Grandmother’s Grandfather (my Great Great Grandfather). He had a son that died in 1917 during a Flu epidemic. 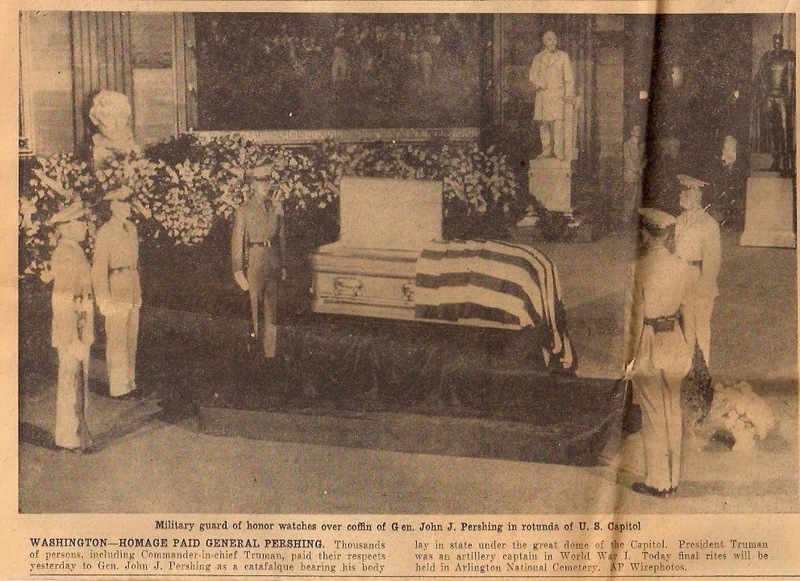 Mentions that he was a Second Cousin of General John Pershing (he was actually his 3rd cousin). Born on March 11, 1851 died some time in 1928 (he was 77 years old). Ancestry.com has the incorrect date of death listed for him.